NollywoodMohits's Page - 9jabook & Tweeterest Digital Network ! Robert Kiyosaki Author of Rich Dad, Poor Dad Files for Bankruptcy ! Saudi Arabia to let women compete in Olympics for first time.. wearing Hijab maybe ! Nice one ! 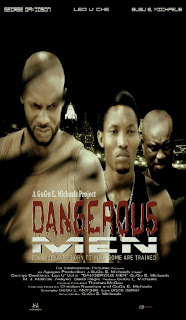 "Dangerous Men" Banned Nolly wood Action packed movie out on Silverbird Cinema Benin ! Oprah Winfrey signs off after 25 years in daytime talk TV thanks "Jesus & her team "
Jay Z I aint NO Illuminati and I am not a business man I am a Business, Man ! The next time you are a Delta flight, check out the latest issue of Sky magazine, featuring Jay Z. In the interview Jay talks about everything from a new label to Broadway, and addresses those pesky Illuminati rumors and the delay in the Watch the Throneproject with Kanye West. What a great gift is your friendship spirit with a blessing in disguise to it.......Thanks. Because you've not hold back this friendship hand my God would reciprocate accordingly beyond your wildest dream to grant you all and beyond before 2010 runs out IJN. Take care with regard. Hi NollywoodMohi......what's up and how are you ? This is just a friendly welfare check on you and I do believe that the Lord has been good to you beyond your imagination with favor and abundant blessing. Praise be unto him in the highest. Take care and regards.